We're serious about user experience. And when our users give us feedback about our tools, we don't just listen -- we implement it. Before this update, the end user could not change which smiley face option they chose once they had clicked on this. But sometimes users accidentally selected the wrong smiley, and couldn’t easily correct the mistake. That’s we’ve adjusted the CSAT user comment page. Now, users have the option of changing which smiley they first clicked on, in addition to leaving a comment. Customizing the pages your users interact with is a great way to make sure your brand name and logo is seen as much as possible. Now, you can customize the CSAT comment page with your logo. 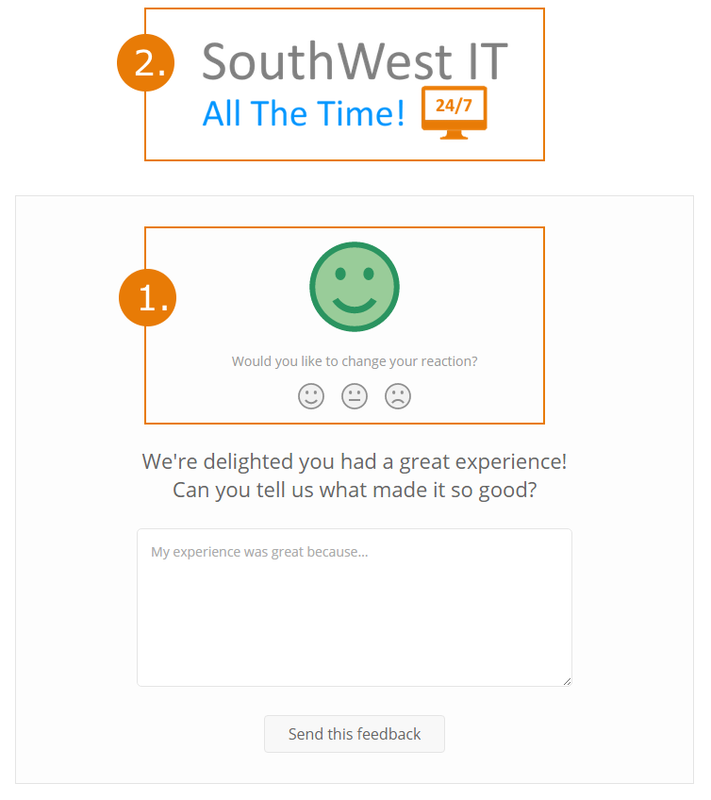 Simply upload the file you want displayed, and CSAT will show it alongside the smiley and comment section. A lot of partners have asked for this, so we made it happen. Please find instructions on how to add your company's logo in our Support Center. And while other companies sometimes charge extra for this kind of feature, we’re including it as part of your regular CSAT subscription. Enjoy the new features! As always, let us know if you have any questions or feedback at hello@nex.to.